1. 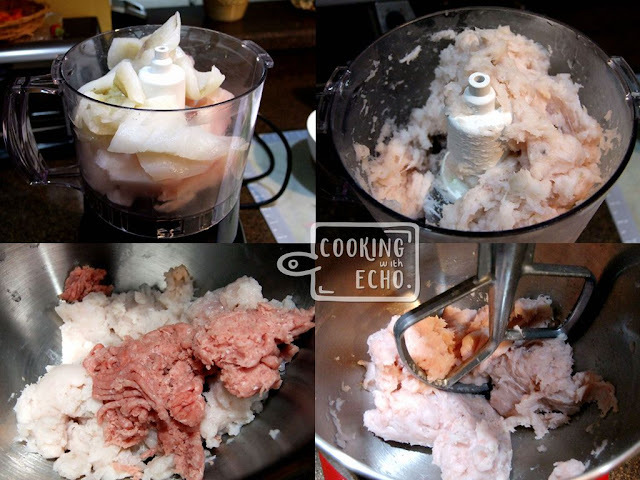 Minced fish fillet using a food processor, you can also use a butcher knife to mince it on chopping board. 2. Place minced fish and ground turkey in a mixing bowl. Run stand mixer at stir for about 5 minutes, add corn starch and all the seasonings listed in between，add chopped cilantro and spring onion towards the end, mix well and set aside for 10 minutes. Note: Keep aside a tbsp of cilantro or chopped spring onion for garnishing. 3. 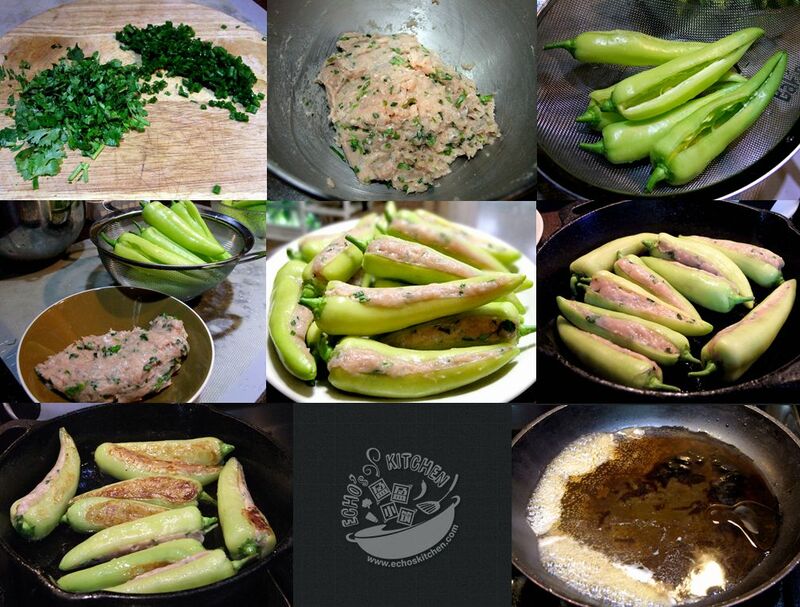 Make a slit in each chillies and remove seeds. 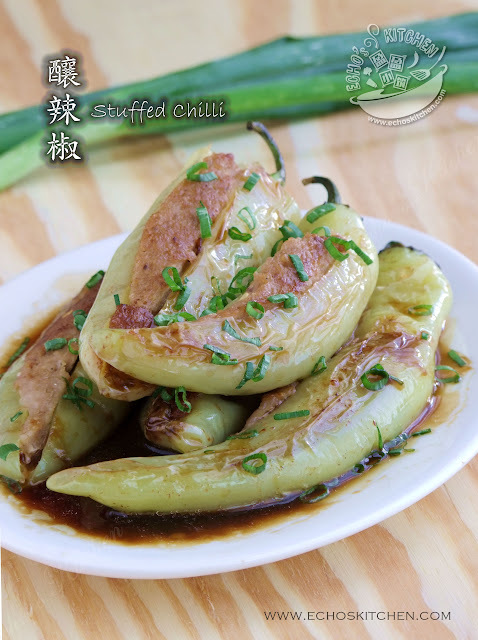 DO NOT over cut the chillies, it should be only one slit opening as shown in the picture. 4. Stuff the fish/turkey paste into the opening until filled. Rub some water over the surface to smoothen the paste. 5. Pan fry the chillies on medium heat until it's cooked. Add all sauce ingredients （but cornstarch） in a saucepan, bring to boil. 6. Use a little water to mix with cornstarch, stir in the cornstarch to thicken the sauce. 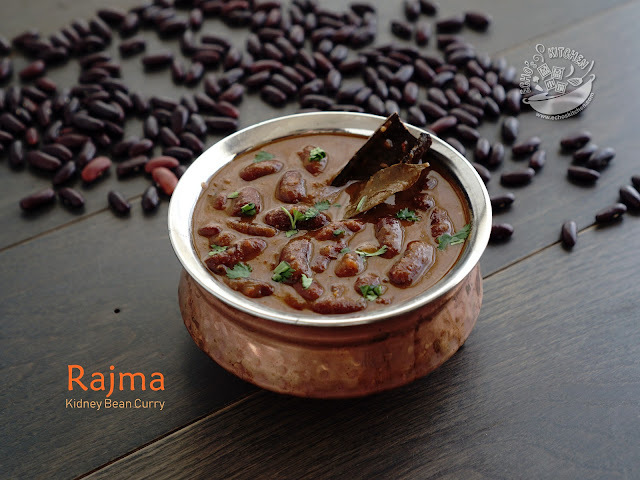 Pour the sauce over the stuffed chillies, sprinkle some chopped cilantro or spring onion for garnishing.